← How Do You Get To Be A Voter For The AP Poll? The ACC is working with the Orange Bowl to finalize a new deal that will have the ACC champion play either Notre Dame, an SEC team or a Big Ten team starting in 2014. If the ACC champion makes it to the National Semifinals, then another ACC team will be selected to take their place. Apparently it is still undetermined how the Orange Bowl will choose between Notre Dame, an SEC team or a Big Ten team to face the ACC team. 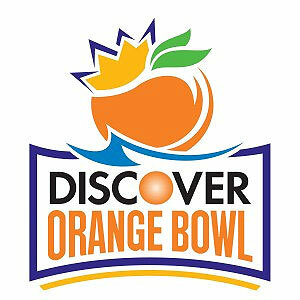 The basic idea is the ACC and Orange Bowl would have the opportunity to take Notre Dame, if it doesn’t make the national semifinals; an SEC team not in the national semifinals or Champions Bowl; or a Big Ten team not in the semifinals or Rose Bowl. Previously the Orange Bowl would be the ACC champion against the Big East Champion or against an At-large team. My question is what happens to the Sugar Bowl and the Fiesta Bowl? Obviously they are still staying a part of the system, but with the emergence of the Champions bowl, what conferences will send teams there? Will those two bowl games just become at-large bid bowl games? It remains to be seen as to what will come of those games. Now here comes my rant. This new deal is exactly the reason why I despise Notre Dame more than anything on the face of this planet. Yet again, this school is getting treated like royalty when they haven’t been relevant in 15 years. They haven’t won a National Championship since 1988, and this week they are ranked 11th in the AP Poll, their highest ranking since 2006. How this team still gets a separate seat at the BCS table and their own separate TV contract is beyond me, obviously they were great historically, but get with the damn times. The only reason why they never joined a real conference for football is because someone is always willing to cave and cater to them. At first it was the Big East and now it is the ACC. The Big Ten and Big 12 probably wanted a share of their TV contract, but Notre Dame thinks they’re special and didn’t want to share with anyone. Notre Dame gets hyped up every year, they don’t live up to the hype, and yet no one takes away their seat at BCS table and or their massive TV contract from the Notre Dame Broadcasting Company (or NBC, whatever). Notre Dame has appeared in THREE BCS games since 1998 (when the BCS was established) and lost each game they played. This team can schedule any teams they want with their independence and yet they still were only good enough to make it to three games in 14 years. Even more of an issue, Notre Dame has SPECIAL RULES to qualify for a BCS bowl game. They automatically qualify if they are ranked in the top 8 of the BCS standings, which is a complete and utter joke (it’s the fourth rule listed). And obviously, it’s not Notre Dame’s fault that people are mentally debilitated and keep giving them special treatment for no reason, but it doesn’t mean I’m not going to hate them any less. I’ll let Rick Reilly take it from here. This entry was posted in College Football and tagged ACC, At-large Bid, BCS, Big East, Big Ten, Champions Bowl, Fiesta Bowl, Notre Dame, Orange Bowl, Rick Reilly, SEC, Sugar Bowl. Bookmark the permalink.